POWER Up Generator Service is proud to bring the MQ Power first-class line of generators to New England with generators to fit for every application. With a full line of diesel-powered generators from 2.3 to 2000KW, no job is beyond our limits. For more than 20 years, MQ Power has refined power generation technology into the quietest, cleanest burning units on the market for construction, entertainment, special events and military applications. 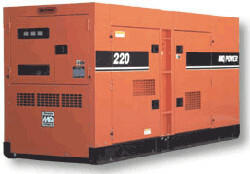 We also offer rentals of MQ Power Generators which will get you up and running quick. If you need backup power, temporary power, standby generators or have any generator needs, POWER Up can provide the right MQ Power Generator solution for you. Find out the difference POWER Up Generator Service has made for facilities managers, contractors and customers alike with their generator service in New Hampshire, Maine, Vermont, Massachusetts, Rhode Island and Connecticut.